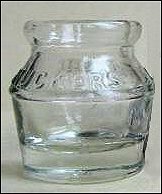 Small jellies were introduced in the late 1920's to fulfill the need of hotels, restaurants, railroad dining cars and steamships to provide individual servings of jelly to their patrons. 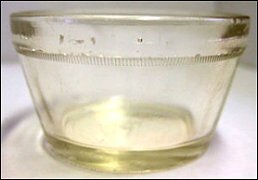 They held 1 to 3 ounces of jelly. 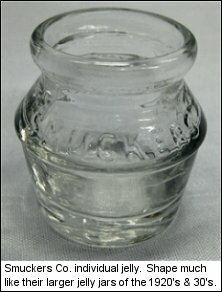 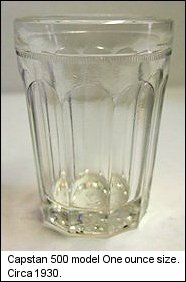 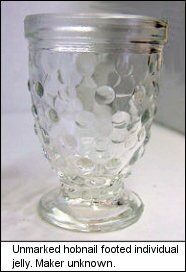 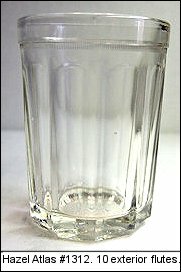 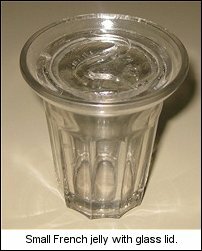 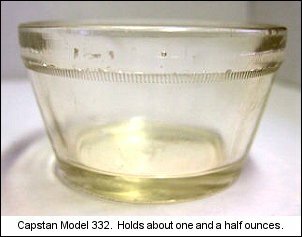 Small glass jellies were used until they were replaced by the plastic containers we use today. 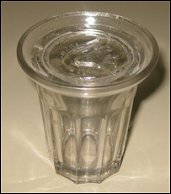 Dollhouse jellies are included in this category also.